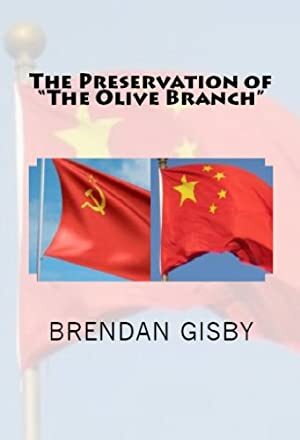 His novel was called "The Olive Branch". It was a sort of futuristic Cold War thriller. He had written it more than three decades ago when he was a young Turk, full of ambitions and principles and politics. But, like many a first novel, the manuscript had been abandoned, left to gather dust. Until now. Now he has time on his hands. He'll tidy up the manuscript and save it on his computer. He'll preserve it. But only for the sake of posterity, he argues. Not because it's any good. Or so he thinks. When he begins the process of preserving "The Olive Branch", he embarks on a journey of self-discovery, a journey of revelations. Revelations about the young idealist he once was. Revelations about the man he had turned into; his failings, his prejudices, his demons. But, crucially, revelations about what might have been. "The honesty and humility with which Gisby writes is quite unique and deeply moving." "The novel reminded me of the movie, The Eternal Sunshine of the Spotless Mind, in which screenwriter Charlie Kaufman used non-linear narration to look at the nature of memory. Gisby does something similar here. He gives us magic spectacles with which to view the unfolding of a life; a 3D image, if you will." "You could consider this book quixotic, given its two entirely different levels of storyline, but I actually found it extremely seductive." "What makes this book so fascinating and so important is that this is the way we experience life: the warp of life and the woof of memory, interwoven into our daily lives." We started tracking this book on October 26, 2013. The price of this book has changed 50 times in the past 2,002 days. The lowest price to date was FREE last reached on December 22, 2018. This book has been FREE 25 times since we started tracking it. The highest price to date was $0.99 last reached on December 24, 2018. This book has been $0.99 26 times since we started tracking it.